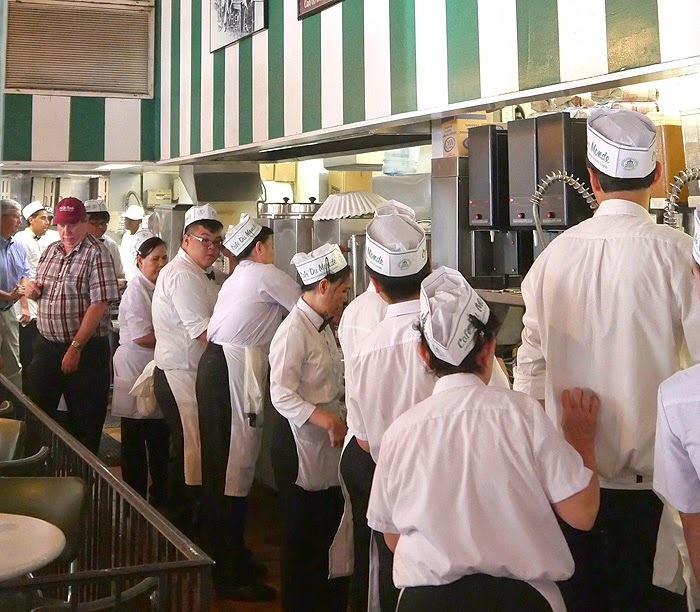 Food Hunter's Guide to Cuisine: What Makes Cafe du Monde Beignets So Delicious? What Makes Cafe du Monde Beignets So Delicious? Whenever I travel to New Orleans I always make a stop at Cafe du Monde for their beignets, the popular French-style donuts served covered in powdered sugar. I'm not even a doughnut eater but these little pillows of deep fried dough are hard to resist. 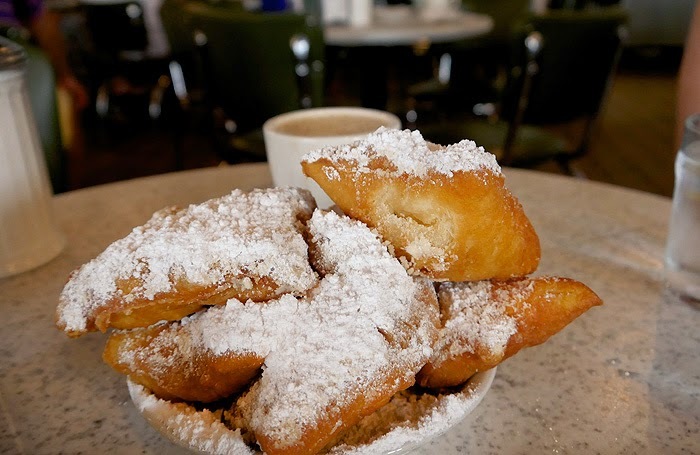 I've had versions elsewhere and have even tried making my own, both from scratch and from the mix boxed under the Cafe du Monde name, but never have they tasted as good as when you order them at the bustling New Orleans cafe. I had a chance recently to sit down with Burt Benrud, Vice President of Cafe du Monde, who confirmed for me that the box mix you see on store shelves everywhere is the exact same ingredients they use in the cafe. So what makes them taste so good? Benrud says the oil. They use cotton seed oil heated to 380 degrees to fry the beignets at Cafe du Monde and recommend you do the same thing at home. Of course any vegetable oil will work but to get that unique New Orleans taste cotton seed oil is the way to go. Another thing I learned talking with Benrud is that being open 24/7 364 days out of the year the amount of turnover is so great that there is never a need to change the oil in the fryers. Oil is added on a continuous basis making it much more seasoned than what you would use at home. Benrud could not give me statistics on the amount of beignets sold or even the amount of powdered sugar used each day, he did say though that the sugar used is grown & milled locally which makes a huge difference in the freshness of the product. The next time you are hankering for a little bit of New Orleans fried doughnuts at home try these few tricks and see if you aren't immediately transported to Cafe du Mode. It's been several years since I was in New Orleans, so I don't remember: Are the beignets at Cafe du Monde made with yeast or not? I make mine with yeast because I like the flavor. I'm not sure...it never came up. Let me see if I can find out for you. I've never actually had a beignet, but I always wanted to try one. I always see people making them on Food Network competitions. I think this is a great reason for me to think about a trip! OMG I want one right now! Woohoo! Time for a road trip!!! Oooh my I have never had an official beignet, but this really really makes me want to! I've never ever heard of cotton seed oil before! maybe that's the secret! I so wish there was a gluten free version of this. Yummy! These are wonderful and I have never been there. I have the recipe and have made them...I can't wait to get there in person. 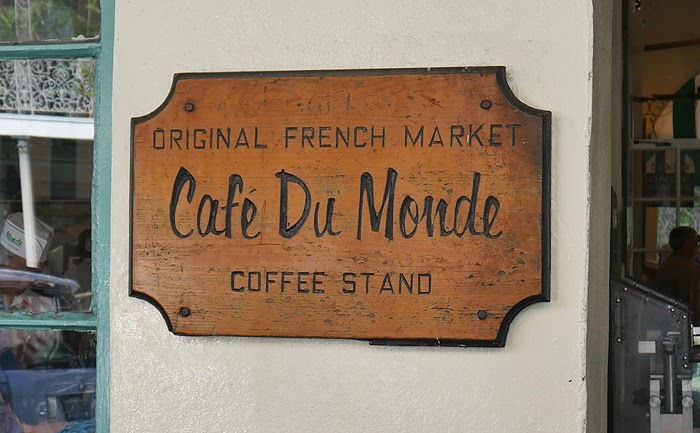 I grew up in New orleans in the 1050s and 60s when the cafe Du Monde (though already open 24/7 and a haunt of newspaper men and transvestites) was where you went after church. You are right; nothing can compare to this experience. im obsessed with your nutella rolls in the post above!